‘Arcadia...’ looked at inherent issues of value, power and land management embedded within our ‘natural’ and built environments. As an in-depth exploration of place, the project engaged with micro-landscapes and related them to macro-communities: identity, belonging and diversity were alluded to via detailed botanical studies of two brownfield sites. 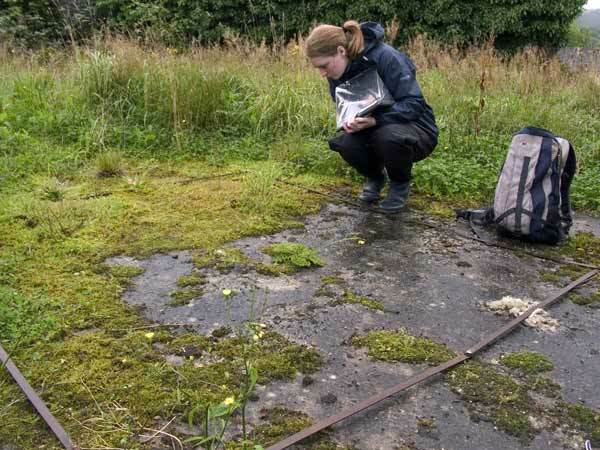 Working with an ecologist, Jenni Roche, scientifically rigorous biodiversity surveys of the vegetation were conducted at the sites in Manorhamilton, County Leitrim. These interstitial sites such as gaps between buildings, untended gardens and post-industrial zones have escaped management strategies plaguing increasingly gentrified areas. Generically derided as ‘wasteland’, these spaces are often rich in biodiversity - kind of mini-Edens thriving behind chainlink fences. The project uncovered rich analogies between the area’s natural and cultural histories, revealing volatile connections between the broader homogenisation of our cultural and natural landscapes. A fieldguide was produced and distributed for free to the people of the town, inviting them to engage with the sites on their own terms.